Former columnist MARC Times Racing News. By-lines in Area Auto Racing News, Short Track Racing Magazine, The Fresno Bee, as well as local newspapers. "The Voice of of the Supermodifieds" Free-lance announcer, traveling the country as an advocate for the supermodified division. Christian, writer, social media marketer, webmaster of WingSideUp.wordpress.com, cigar smoker, bourbon drinker, beer lover, father and friend. 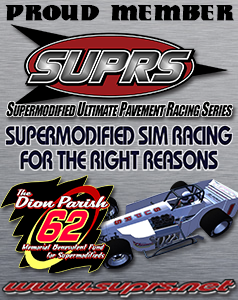 Co-Founder of Supermodified Ultimate Pavement Racing Series online sim racing league. Sardines, Saltines and a Dream!